Each year, there are new sets of lists describing the design trends for the upcoming year. This year, I thought I’d view these trends through a biophilic lens. There’s no doubt that the yearly trends are important on their own as they can be indicative of larger, more general changes in Architecture & Design. Thus, it pays to follow them and even implement some. 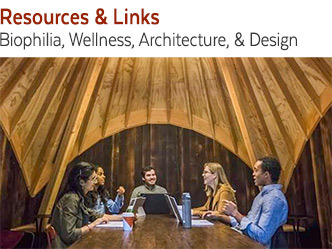 However, for architects and designers who focus on human wellness and environmental sustainability, a new question arises: How can you be inspired by these trends while combining them with biophilic and sustainable design? It’s no secret that biophilic design and sustainable design improve productivity and performance in the workplace, and green building materials like reclaimed wood are renowned for their abilities to improve collaboration and boost employee morale and satisfaction. But how can these work hand-in-hand with the latest office design trends? If you’re designing a commercial office space and want it to be eco-friendly and healthy while incorporating some of the latest trends, look no further. Here’s how this year’s predicted trends of comfort spaces, minimalism, monochrome, materials with purpose and modular furniture are creating stylish, sustainable spaces that enhance human wellness. 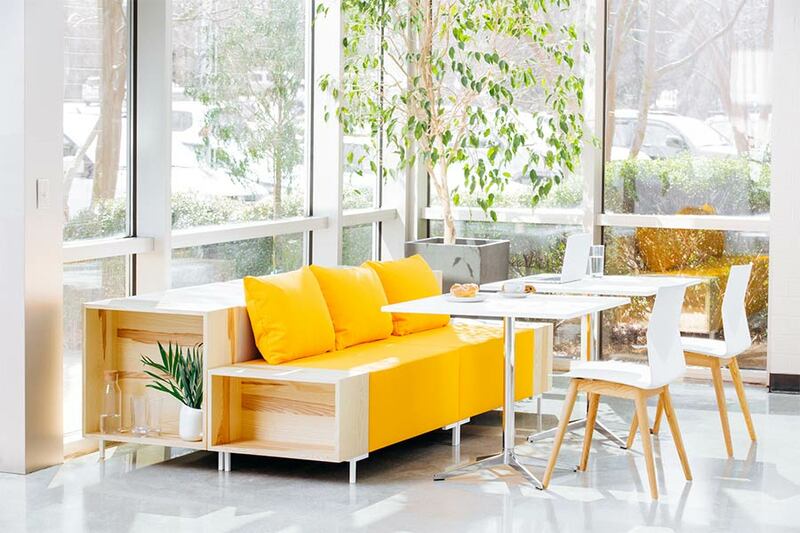 Google has been repeatedly crowned as one of the best places to work, and it’s no surprise why; their offices are designed to maximize employee health and satisfaction. 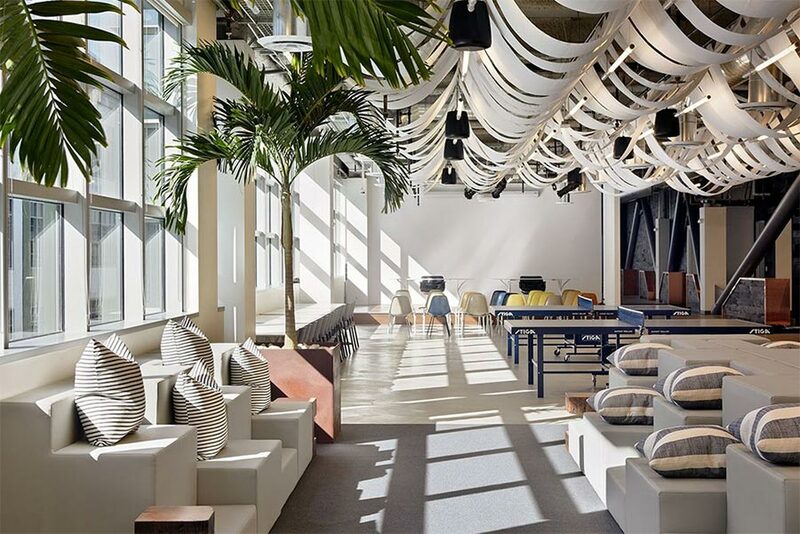 Google’s workspaces are filled with plants, reclaimed wood, views of nature, water installations, and even more exotic biophilic elements like rock walls. Google also does an excellent job of pairing biophilic design with current design trends. Noticeably, many of their offices incorporate comfort spaces to provide workers with a sense of calm. This combination of biophilia and comfort spaces inspires employees with contemporary design while anchoring their senses in biophilia. As a result, these workspaces are conducive to both productivity and relaxation. It also reflects Google’s brand: purposefully up-to-date and always responsive. Like many other businesses, Google has realized the growing need for more comfort spaces in the workplace. Today’s workers need an office that prioritizes their physical and mental wellness. The ideal office should foster a positive, harmonious work culture that meets all sorts of employee needs from mental breaks to intensive coworking sessions. Minimalism is one of the more widespread design trends that’s appeared in recent years. There’s a strong appeal to clean, uncluttered spaces, and many corporate offices have implemented minimalism to maintain tidy workplaces that feel good to work in. At the same time, biophilic design is particularly powerful at increasing productivity in the workplace, and this is one huge reason why biophilic elements are so common in top-performing offices. 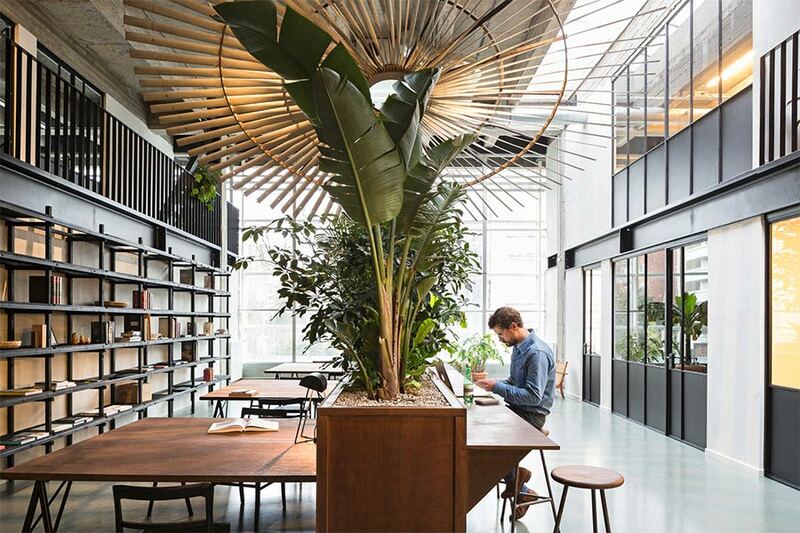 For Fosbury & Sons, a coworking office space in Belgium, productivity is especially important, so they chose to take their industrial, minimalist space and liven it up with plenty of plant life. 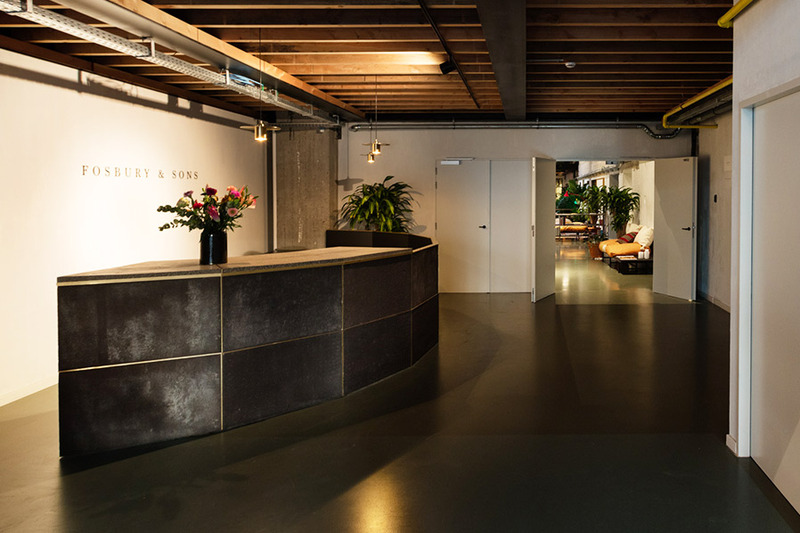 Their workspaces feature a variety of potted and planted flora strategically placed near desks and tables to ensure that there’s always a few plants nearby. This also creates an unforgettable first impression. From the moment a visitor enters the lobby, he or she knows that this is a unique office. Most importantly, the inclusion of biophilia prevents the space from becoming too minimal, ensuring that people feel and perform at their best. 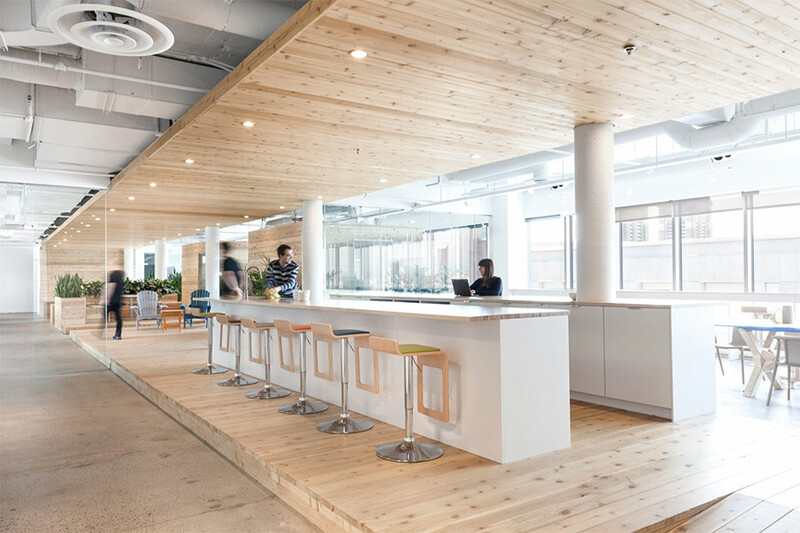 When cloud computing business OVH decided to remodel their Quebec City workspace, they took inspiration from both minimalism and biophilic design. The result is a brightly lit, open space enhanced with greenery, which is steadily gaining popularity. The office uses woods with lighter tones to complement the abundance of natural daylight, and the greenery sprinkled throughout the building adds a healthy dose of biophilia. Aside from being visually stunning, this office is excellent for solo work, group work, and employee interaction, as it prioritizes both working and socializing. From Office Snapshots: Beams clad with reclaimed oak at Sam Edelman’s NYC HQ reflect the brand’s Americana vibe and mirror humble beginnings, hard work and reinventing oneself for success. The materials chosen in design can establish a meaningful connection for occupants to the office space and the company. Design materials can be selected to reflect the local community and surrounding landscape, and can portray the values of the company’s brand. Choosing sustainably sourced materials and furnishings with non-toxic finishes helps you maintain healthy indoor air quality and supports social and environmental responsibility. And, when these materials are analogues of nature, like reclaimed wood, they can bring the benefits of nature indoors. In 2017, Burns & McDonnell Design Manager and former Helix Architecture Principal Trevor Hoiland debuted the Story Collection, a line of modular office furniture manufactured by Hightower. Modular design has already made waves in commercial architecture this year, and it has many benefits for the workplace. Modular workspaces are gaining traction for their flexibility and adaptability; in the office, this means better and frictionless collaboration and productivity. This is why Hoiland’s furniture is so visionary. It can be used for work, meetings, socializing, or any combination of those. Given that the contemporary office needs to be able to suit a range of demands, the usage of modular furniture and layouts makes perfect sense. In addition, the furniture prominently features wood, which is a nice biophilic touch that makes this highly functional collection even better. These days, many minimalist spaces are opting for monochrome color palettes. The use of monochrome pairs well with minimalism, as the two work in tandem to create a calming, clean interior that layers shades of the same color. The natural light in Dropbox’s lounge area cast shadows that add additional gray tones, pattern and movement to complement the design. The inclusion of greenery provides pops of color and a natural element to soften the monochrome effect. A few well-placed plants or natural installations (like fireplaces or ponds) can add verve to a minimalist office without subtracting from the minimalist design itself. Expect to see more biophilic elements in minimalist or industrial spaces in 2018 and beyond. From the lobby to the conference room, an office needs to cater to its workers. That can be a tall order, as employees should feel good and also enjoy their time in the workplace. 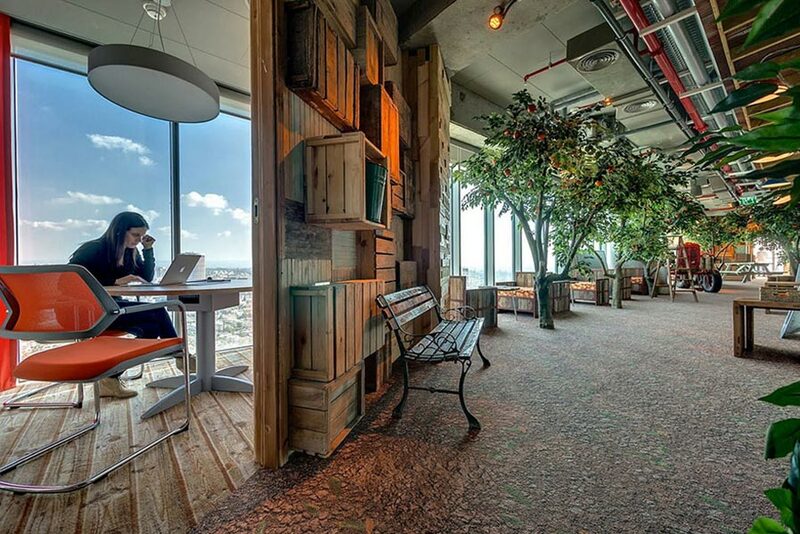 Thankfully, you can easily balance the latest office design trends with the timeless benefits of biophilic design using these techniques. Designing office spaces to create environments that are inspiring and engaging while including biophilic elements will ensure that workers are feeling great. This is the future of the corporate office: a space that combines the cutting edge of office design with the staying power of biophilia. It’s truly a win-win.